1. 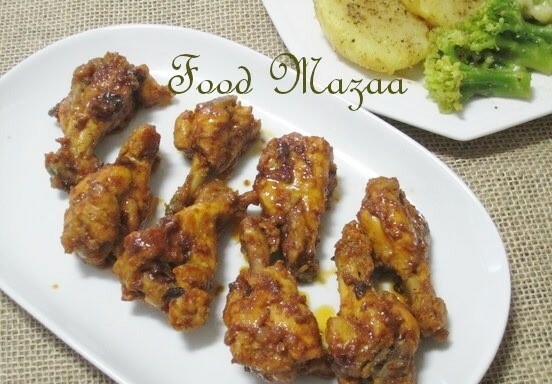 Clean and marinate the chicken wings for few hours with the ingredients mentioned. 2. In a pressure cooker cook the wings for 2-3 whistles until done. Alternatively you can also grill them in the oven. 3. Mix the 3 sauces mentioned in a bowl. Too tempting & yummy with new flavor. Delicious chicken wings. Very inviting..